Congratulations! You have been chosen in the lottery and are officially registered for the Credit Union Cherry Blossom Ten Mile Run on April 7, 2013. We are looking forward to a spectacular day in the Nation’s Capital. If you haven’t already, you’ll receive an additional email from Marathonguide.com, our registration provider, outlining your credit card charges. Please note that the charges will show as being from “Marathonguide.com” on your statement. If you did not enroll in our free ten-week Online Virtual Training Program for the 10 mile or our On-site Training Program hosted by Potomac River Running, you will have an opportunity to sign up in January. During registration you did not opt to purchase the shirt upgrade, finisher medal or packet delivery. You may still add a shirt upgrade, medal or packet delivery to your registration by visiting the Purchase Additional Items Form. There was obviously more to the Email, but it seemed silly to post the whole thing. But, this has confirmed that I WILL be racing in 2013, come hell or high water! It also means, I need to figure out what I my race schedule is going to look like this coming year. I do realize that I am planning races for after the end-of-the-world, but we all need hobbies right? We can’t just run after all! So, I have my “definites” and my “would like to” list so far. Having 2 active children, I need to work around their Schedules. Cherry Blossom 10 miler – 7 April — Registered! Ben Moore Half Marathon -11 Aug. I haven’t looked into the 5k’s yet, but I am fairly certain that I am doing another Warrior Dash with my wife and neighbors. 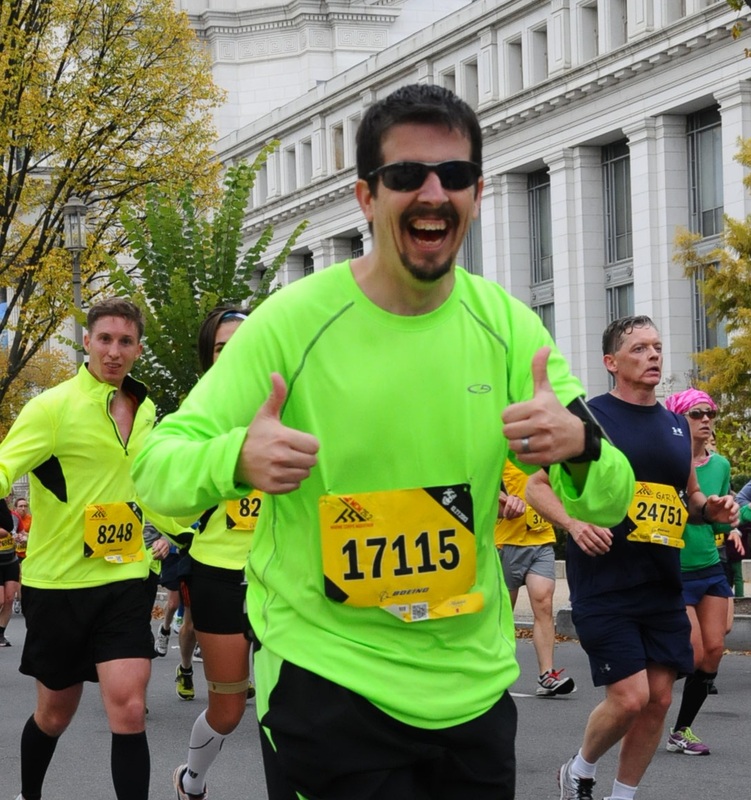 Do you have any suggestions for races (Any length) that I should look into in Maryland/Northern VA/D.C.? The Marine Corps Historic Half in Fredricksburg, VA on May 19th. I’m flying up from Florida to do that one with my daughter and her husband, who actually live in Fredricksburg, since they are coming down to do the Disney with me. That one was on my list originally – but its my Birthday AND my son has a BoyChoir Conference.. AND its the same weekend as the Maryland Warriordash that my neighbors want us all to do.. I suspect the Marylandstate Boychoir Conference is always going to interfere with that – which stinks as it is definitely a race on my bucket list!